The FDA has been dragging their feet far too long on this issue. Please join the cause to put a stop to this, and support the great people behind this effort! Thank you for your support, and to those who have put this effort together! Sometimes on really busy days when you are low on groceries and you forgot to plan what you're cooking for dinner, a box of instant mac and cheese served with some quick veggies is a great solution. It may not the be healthiest, but the kids sure like it. Last night was one of those nights for us. This gets served around our house about once a month or so, and this Annie's gluten-free version is way better than the Kraft version and certainly just as acceptable. It's also the best gluten-free instant macaroni and cheese I have found, with the exception of Amy's frozen gluten-free macaroni and cheese. I fix it with two tablespoons of butter as well, which the box instructions don't call for. How do you celebrate this special day? Growing up, it was a given that we would wear green. If we didn't, my mother would be sure to pinch us. 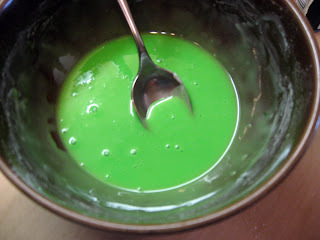 She also made green milk (gross!) and green food. I don't fix green milk, but I do make green pancakes for breakfast. I also like to make green clover cookies. 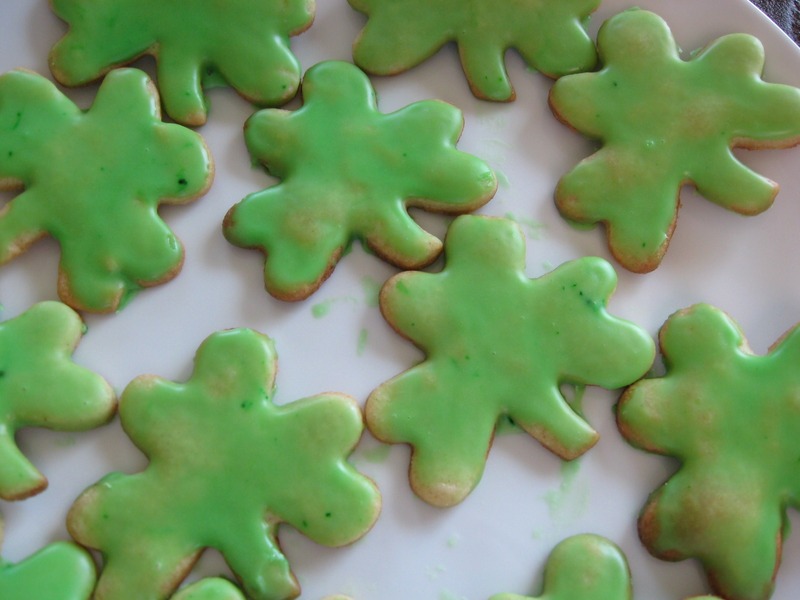 I'm excited to share the recipe with you - because wouldn't you know that I got my luck with this recipe for St. Patrick's Day. It's almost the same recipe (adapted again) as the Classic Christmas cookies, which I am going back to edit this version into it. They are adapted from the Rich Roll Cookies recipe in the Joy of Cooking , 1975 edition, and as I state in the Christmas cookies post, they are excellent for any occasion. This particular ver are exactly how I remember them being before going gluten-free. 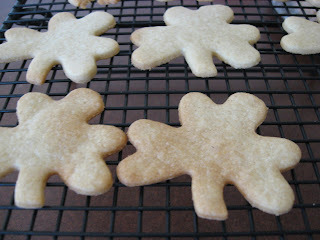 I top them with a milk glaze recipe, also adapted from Joy of Cooking . 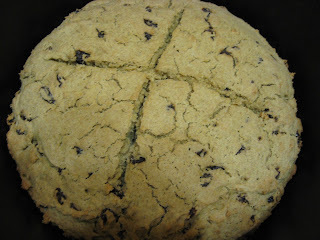 I also like to make "spotted dog" Irish soda bread, which I shared with you yesterday. And, more importantly, I like to read a little of the history behind this day with my children. 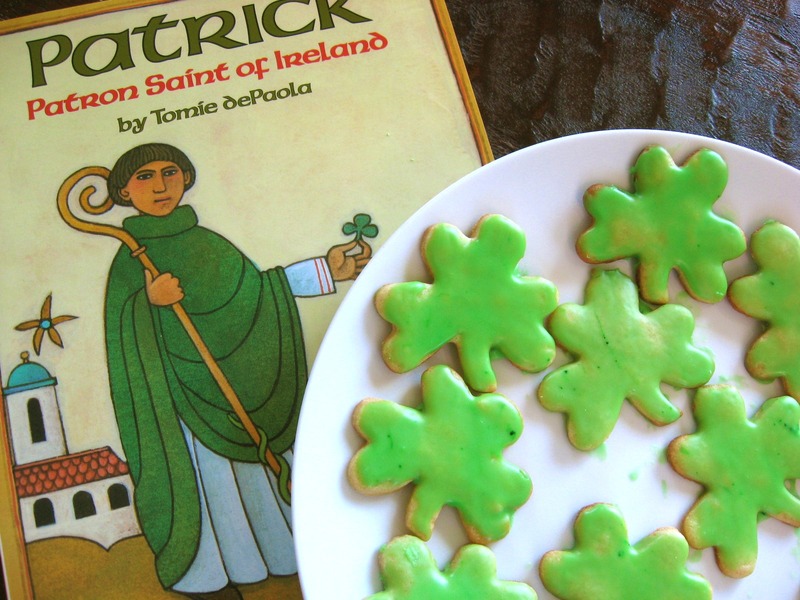 There are several books out there, but I like the one you see pictured above, Patrick Patron Saint of Ireland by Tomie dePaola . I don't know a whole lot about my Irish ancestors, but the older I get the more I want to explore the history behind all of my family and the countries and cultures that have influenced who I am today. That includes visiting those countries one day, as well. Until then, we'll have to read what we can and have fun in the kitchen. And today as we celebrate, let's also remember Japan in our prayers. Cream together butter and sugar, then beat in egg and pure almond extract. 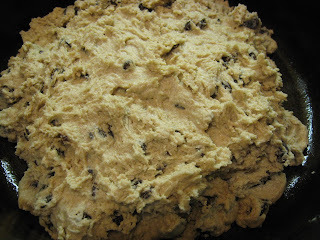 Sift together flour blend and salt, then mix into butter mixture until all is incorporated and a smooth dough is formed. Shape into a ball, cover with plastic wrap and refrigerate for about three hours. Line baking sheets with parchment paper. 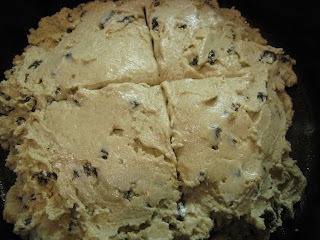 Take a small amount of dough at a time and roll onto the sheet, then cut into desired shape and remove excess dough. This is how I eventually found success. Trying to transfer this dough is too difficult if you want to keep the exact shape. Bake (top rack if gas oven) at 350 degrees for 6-10 minutes depending on type of sheet you use. The edges should be getting brown, and the bottom should be brown. These cookies will burn very quickly once they are done, so watch them. Let stand on sheet for a few minutes before transferring to wire rack to cool. When completely cooled, top with frosting of choice or milk glaze (my preference). 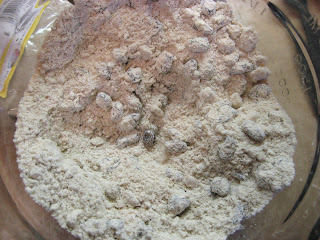 Transfer to wax or parchment paper lined sheets until glaze is set. 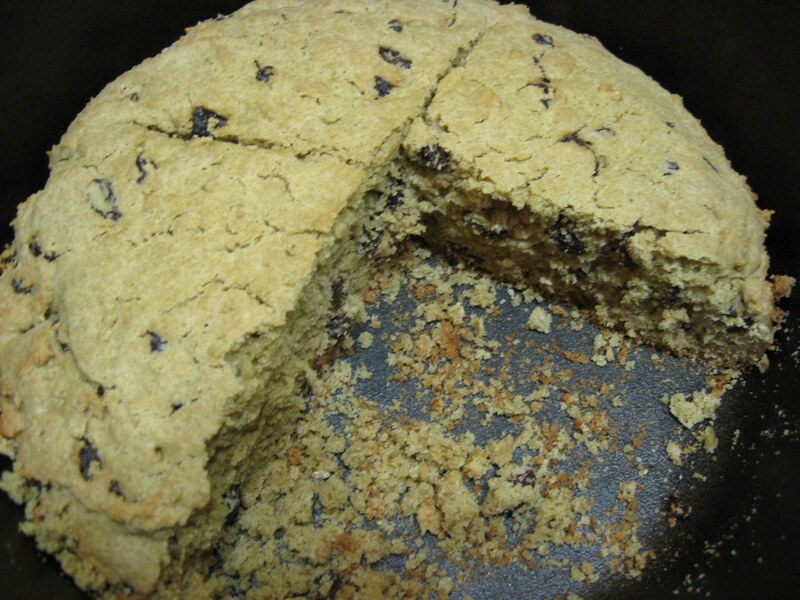 All these years I've thought I was making traditional Irish soda bread - only to discover earlier this week that it was actually "Spotted Dog" soda bread I was making. Apparently if you add raisins, fruits, seeds, etc. to the bread, it's no longer considered traditional soda bread. So, I set out to make a gluten-free version of traditional Irish soda bread yesterday, only to bake up a tasty - yet crumbly and slightly doughy - soda bread. I stuck to the basics without even adding egg, only changing the flours but it flopped. Of course, I have to admit that even if I re-created a traditional version to be gluten-free, it still wouldn't be truly traditional, would it? 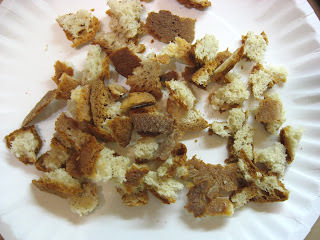 I seriously doubt our Irish ancestors (my grandmother is half Irish) used gluten-free flours to make their bread. I'm sure it was wheat. 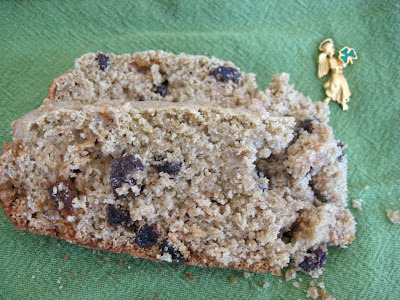 So maybe I won't try so hard to re-create traditional Irish soda bread if it can't truly be done gluten-free anyway. 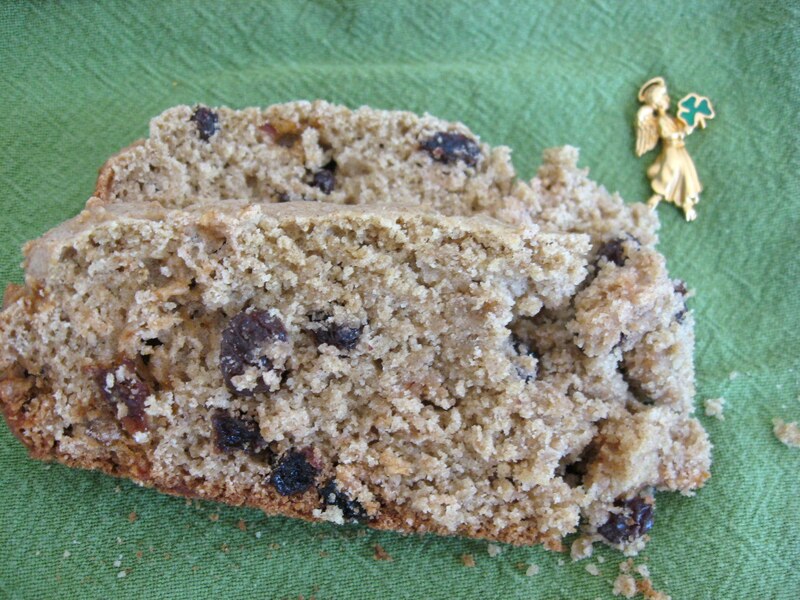 It's adapted from the Irish Soda Bread recipe in Cooking Down East by Marjorie Standish , a cookbook that you've seen mentioned here before. I always opt to omit the caraway seeds, though. You'll need a scale for this recipe. Sift the dry ingredients together then cut the butter into it with pastry blender until crumbly. Stir in raisins. Mix buttermilk together with egg and stir into flour mixture, mixing together by hand until all is moistened. 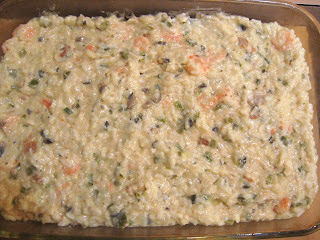 Place dough in well-greased Dutch oven or casserole dish. 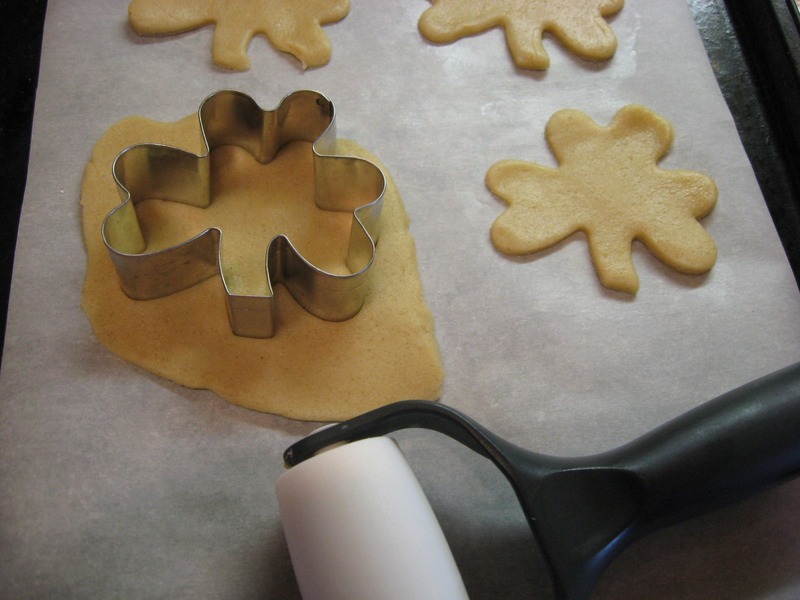 Smooth out the top a little with the back of a wet spoon, and cut a large cross in the top about 1/2-inch deep. 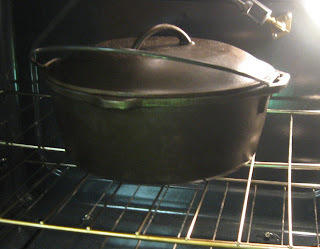 If you are using a Dutch oven, cover with the lid. 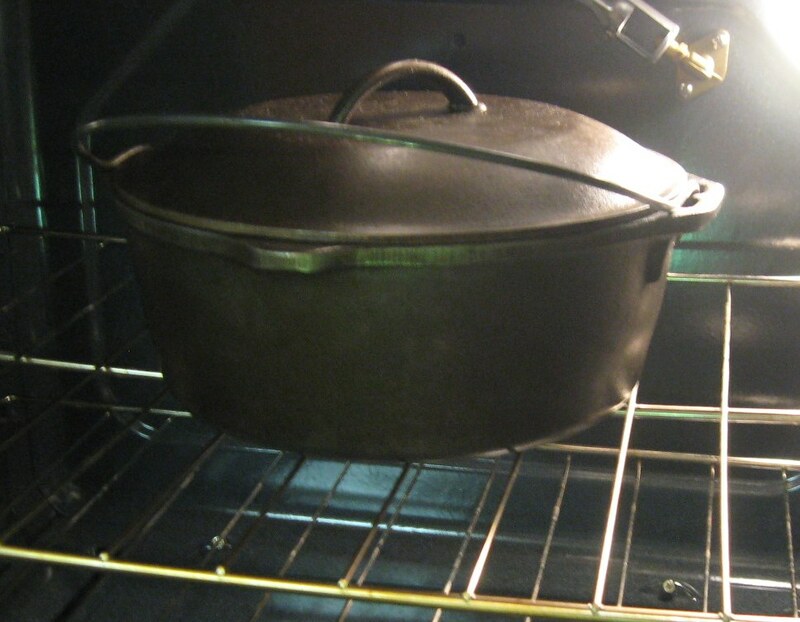 If you are using a casserole dish or cake pan, cover with a cake pan. Bake at 375 degrees for 40 minutes. Remove lid and slice through cross again if needed, then bake for another 10 minutes. Enjoy, and have a Happy Saint Patrick's Day! I still vividly remember the first time this casserole hit my mouth - I remember everything about that first bite. I was 9 years old. We had moved from Louisiana to Illinois about a year before and I'd been missing my Cajun food, or more specifically, my MaMaw's cooking. My cousins and I used to tell our grandmother that she needed to open her own restaurant. She was the best cook for miles and miles around - and everyone in the community knew it. We talked about the name she'd give it - my favorite was "MaMaw's Cajun Cafe." I loved to sit in the kitchen with MaMaw while she cooked. She'd ask me to taste test all of her cooking when I was there. She claimed that smelling all the cooking made her unable to accurately tell if it needed something else - and I can attest to the validity of this fact now that I cook so much as well. I would tell her if it needed more salt, pepper, garlic, whatever. I loved doing this, and still do. And I now ask my daughters to taste test for me when I'm cooking. 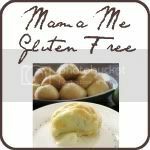 My MaMaw is still a great cook, and I have been so touched by her enthusiasm to want to make gluten-free food for us when we visit her now. I've been blessed to come from an entire line of good cooks. My other grandmother was also an excellent cook and I loved her recipes. I have been given several of her cookbooks, which I use often and adapt the recipes to fit our needs. Both of my parents are great cooks, as are all of my aunts. I'm a pretty lucky girl! 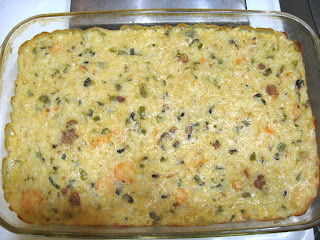 When MaMaw made this casserole for us in Illinois, it was the first time I'd ever tried it. 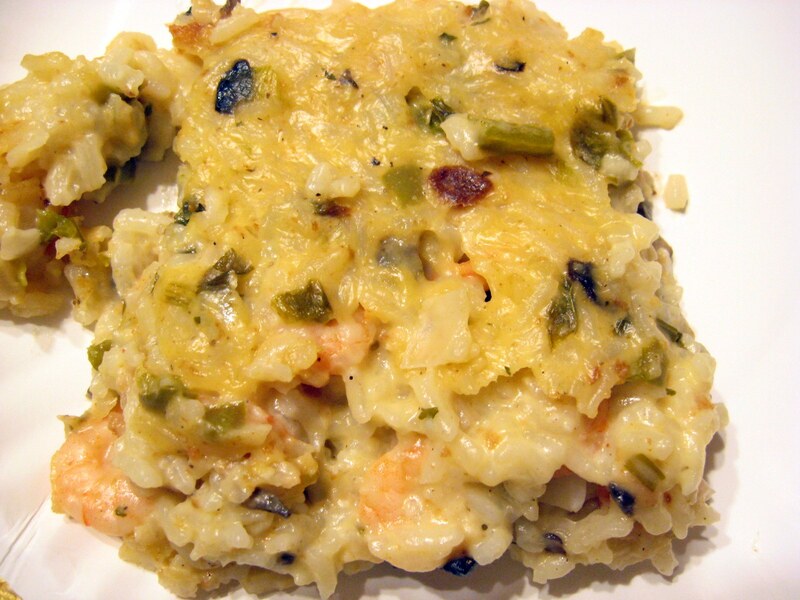 It was a new dish for me - I'd been used to her crawfish bisque, etouffee, jambalaya and so much more. (She is an excellent baker, as well.) 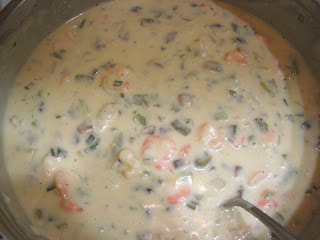 Shrimp casserole? Oh. My. Yum. That first bite was amazing. 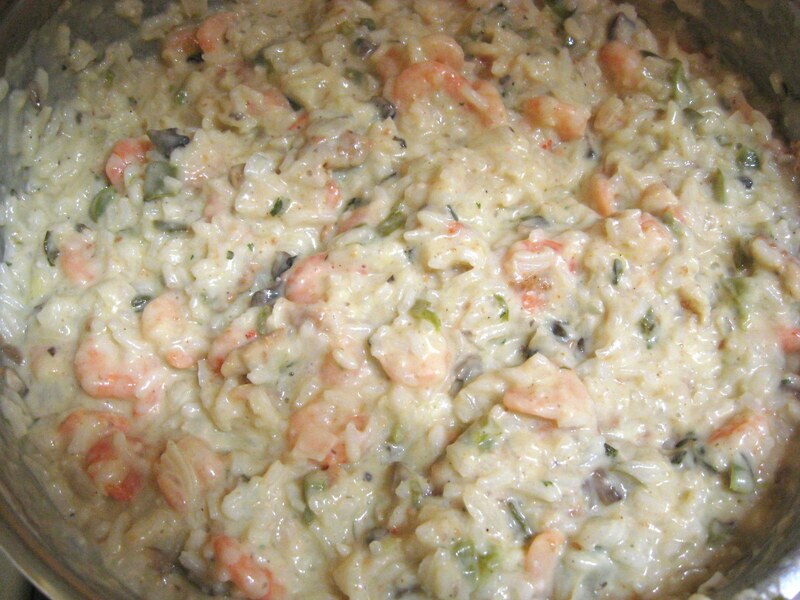 The garlic, onions and mushrooms combined with shrimp and rice in a perfect, creamy bite? *Sigh* The shrimp was curled just right, had the right color pink. The crispy, baked top of the casserole with such tender morsels beneath it? I couldn't get enough. The one thing I don't remember about eating the casserole that day was how many servings I had. I know it was a lot. Of course shrimp casserole was one of the recipes I had to convert free of gluten. The problem was figuring out the perfect ingredients to replace condensed cream of mushroom soup and condensed cheddar cheese soup. It's a great casserole to make ahead and freeze for later. It also makes a great dip (without the rice) as I explain below. Just because it's a casserole, though, doesn't mean it's an everyday-plain meal. It's company-special and many friends can attest to that fact. They'll want the recipe, too. The downside of this recipe post is lack of a great photo to do the casserole justice. When I was making this recently, the lighting was terrible. I was already later than anticipated getting dinner on the table due to distractions from children, and had no time to garnish the top and put it on a pretty plate. Also, it was dark outside and the lighting inside isn't so great for food photography. Next time I make it, I plan to correct this and post a photo worthy of the recipe. I hope you'll try it anyway! 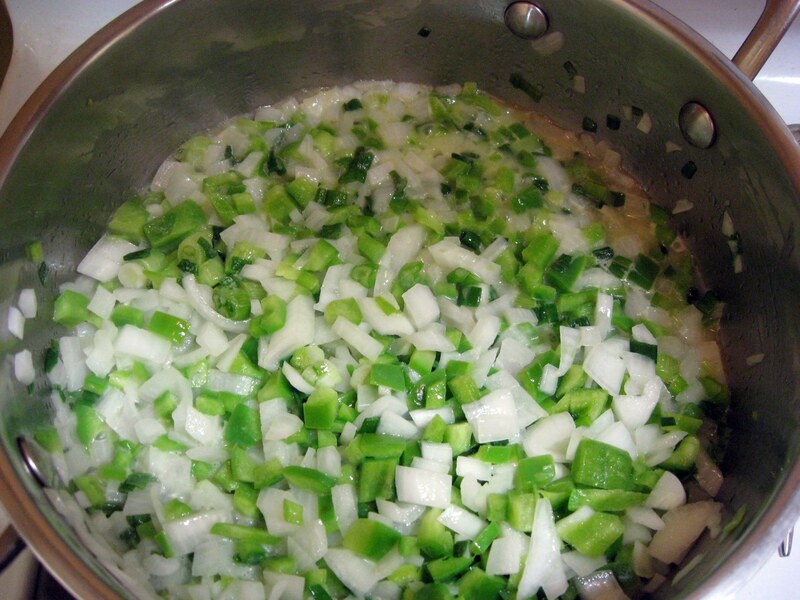 Saute onions and bell pepper in a skillet with the butter over a low-medium heat until the onions are wilted. While these are cooking, dice your mushrooms and prepare your cream soup base. 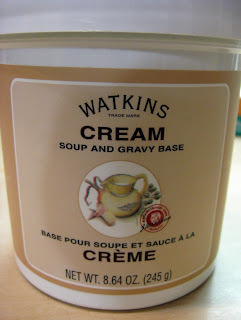 I like to use the Watkins Cream soup & gravy base and prepare it the thickest gravy base recipe provided on the container, but I half the recipe. 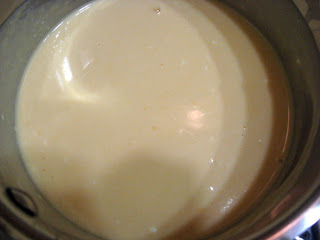 You want about 1 1/2 cups of prepared, thick (basically like condensed) cream soup. 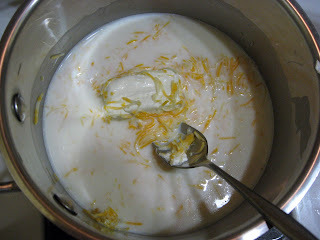 If you don't have the Watkins mix, you can use another cream soup base recipe. 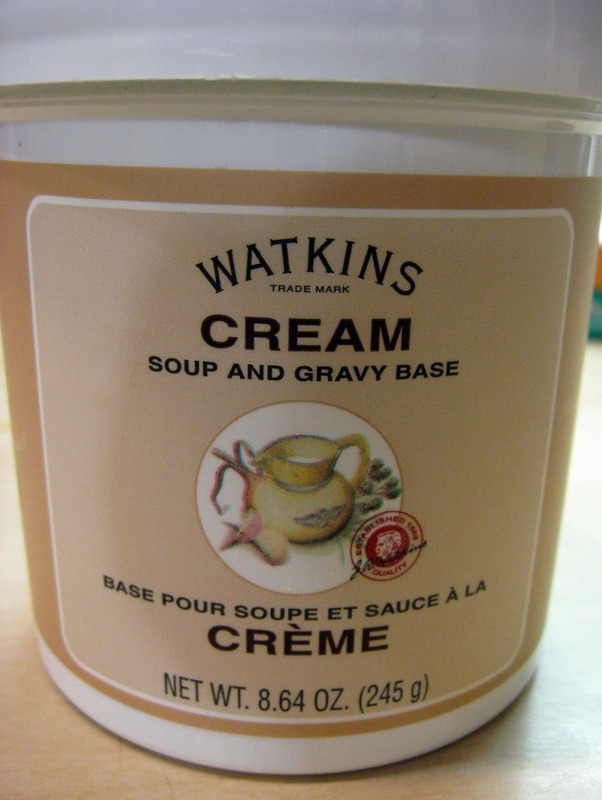 The Watkins cream, chicken and beef soup/gravy bases are gluten-free. Other flavors are not. Stir the diced mushrooms into the cream soup and set aside. Now prepare your cheese "soup." Combine milk, cream cheese and shredded Colby-Jack in a saucepan. Heat, stirring often, until the cheeses are melted and everything is incorporated. Set aside. 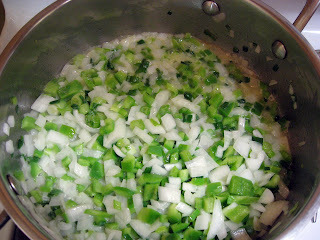 When the onions and bell pepper are finished cooking, add the minced garlic and cook for two or three minutes. Add the mushroom soup, cheese mixture, shrimp, salt and peppers into the pan with the onion mixture and heat thoroughly on low heat for about 15 minutes. I usually use pre-cooked, frozen (and then thawed before use) cocktail shrimp or medium shrimp for this. I prefer to buy them that way unless I get them fresh or I trust they've been frozen from fresh. While this is cooking, cube or tear your bread into small pieces and microwave on high for a little while. I usually stick them in there for about 30 seconds, stir a little and put in for a few seconds longer. The goal is to get them tough and a little dried out. 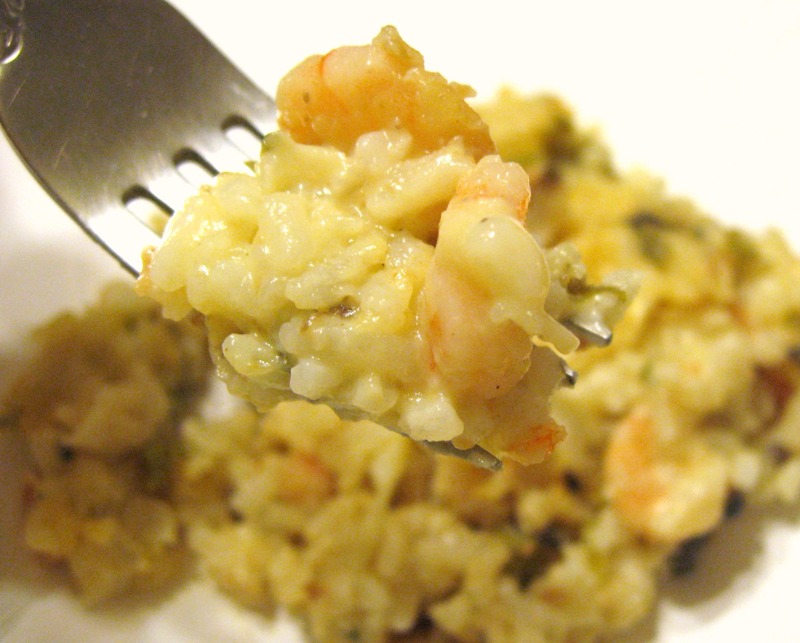 Continuing on with the casserole, when the shrimp mixture has finished cooking, stir in the rice and season again to taste if needed. Stir in the bread crumbs. 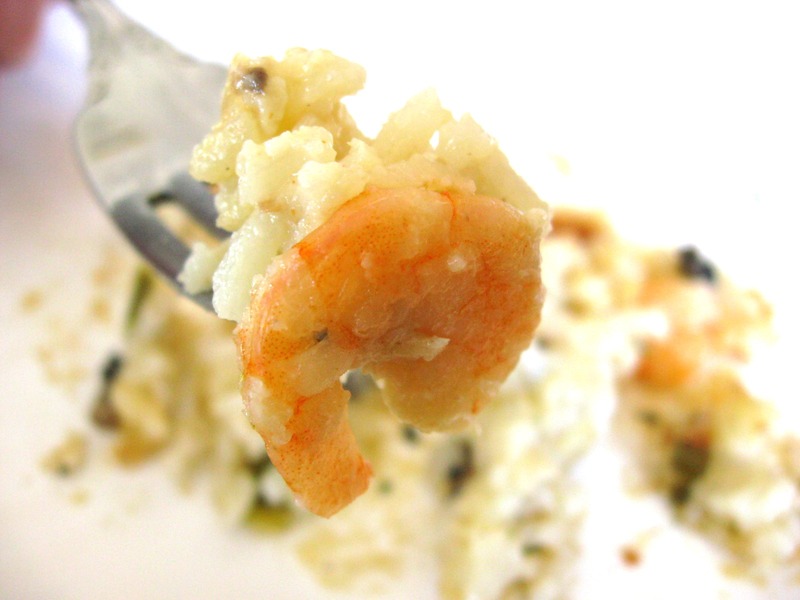 *Note: After the shrimp is thoroughly cooked and the mixture has been properly seasoned, if you stop there it makes an excellent hot dip. Mmmmm! 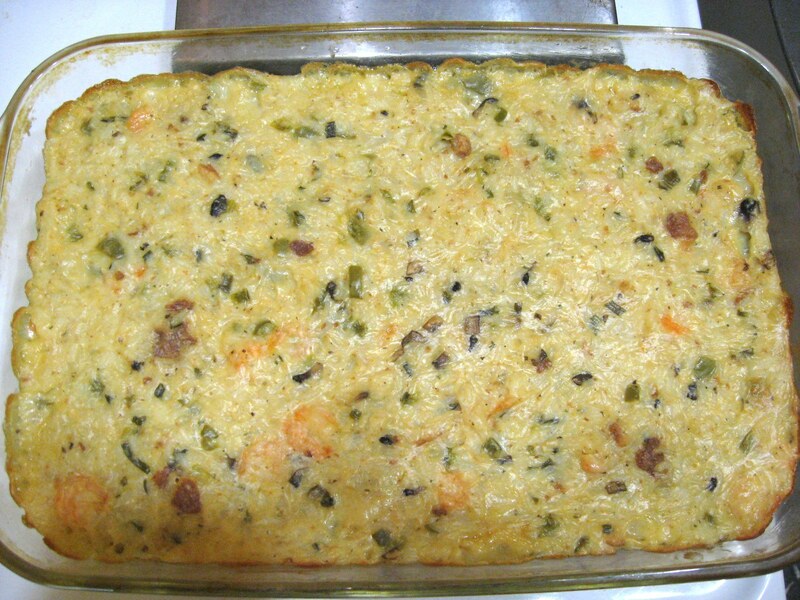 Pour into a greased 13x9 casserole pan, or two smaller ones if you plan on eating one now and want one for later. 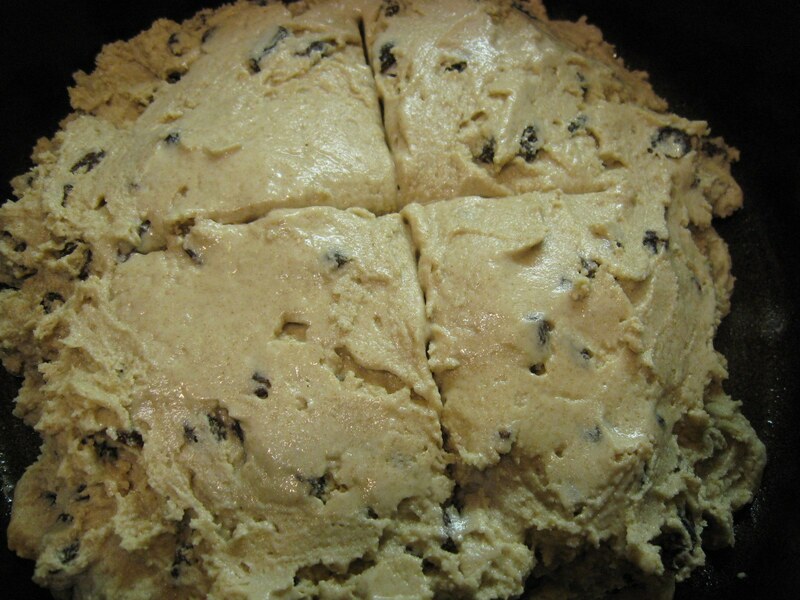 You can freeze it at this point before baking it. If you want to dress it up more, you can garnish each serving with a strip of pimento, a sprig of parsley and a cooked shrimp. If you want to save time in making this, you can chop the veggies beforehand and make the soups ahead of time as well, refrigerating all until ready to use. The news out of Japan yesterday was so sobering, and continues to be so. My prayers are with all those affected by this devastation, and those working to help. The first way you can help is praying if you are one who believes in prayer. Secondly, there are many organizations you can donate to that are helping with this cause. Please consider donating to a reputable organization providing help, and please pray for all those affected and those helping. 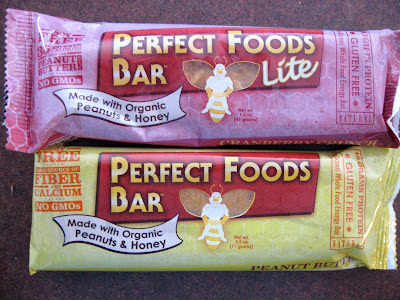 I was introduced to the Perfect Foods Bars a few weeks ago by a girl who works at our local health food store. Can I tell you I'm hooked? These things are incredible. The peanut butter flavor is my favorite - and I'm one of those people who really can't stand peanut butter unless it's sweetened and coated with chocolate. But this is good. There is an incredible amount of protein in the peanut butter flavor. There are a few other flavors, including a carob for chocolate lovers. I can't vouch for the carob, however, as I hate carob. I have very bad memories of carob from health food stores being forced upon me as a chocolate substitute when I was a child. Why would anyone want to substitute chocolate? Especially knowing the health benefits of quality chocolate? Me? No thanks. If I can't have the real deal, I don't care to have a substitute, thank you very much. The Easter Bunny even brought me carob. I hate it. So the carob may very well be delicious, but as these bars are fairly on the expensive side, I won't be spending my money to try one. Because did I mention that I hate carob? The downside of these bars, other than the price, is the fact that they need to be kept cool. I'm sure putting them in your pack for a day of hiking won't harm them, but they are supposed to be stored in the refrigerator, which makes it difficult to keep them in your desk for when hunger strikes. Other than that, they are wonderful. I love them. And I wish I hadn't eaten my last one!